Changes happen. Changes are harder to adapt to “as we get older.” For one change, we will be adapting to a new time schedule. Thank goodness it’s only a half hour. Ultra Basic Class will start our afternoon of dancing at 11:30 a.m. on Mondays for $2 in the SunBird Ballroom starting in October. Classes for the other two levels will be 12:30-2:30 p.m. where I will customize the dances to benefit the majority of a level on the floor. 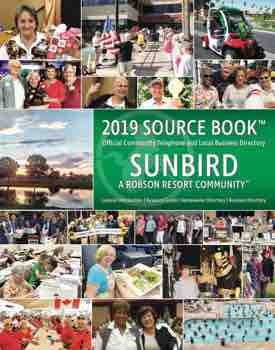 Another change is needed because of renovations at SunBird. We will have a different schedule in September. New dancers need to register now for the September Ultra Basic classes by calling 480-802-0201 after 10:00 a.m. This registration will carry you over to our regular schedule in October through June in the SunBird Ballroom. One thing that won’t change is the method I use in teaching. This has not changed over the last 17+ years. If anything, I hope it has changed to the point of being better. As I watch the dancers who were new to line dancing and have been with me for years, I know I will not change this method. When I watch the dancers who do not follow, listen to the words for each step they do, remember the sequence of a dance and dance the dance with a smile on their face (especially when they finish the dance), why would I want to change my method of teaching? Plus the fact that these dancers don’t want me to change my method of teaching, especially since we have fun learning. Most of all, we have fun dancing together. YAY! Line dancing is good exercise for the body and a better benefit for the mind. “Escape with us from this Crazy World.” God Bless Line Dancing!